This is a sponsored post partnered with Reedman Toll of Drexel Hill. All opinions are honest and are my own. In the spring season it’s not uncommon to encounter a patch of rain while you’re driving your car down the road. 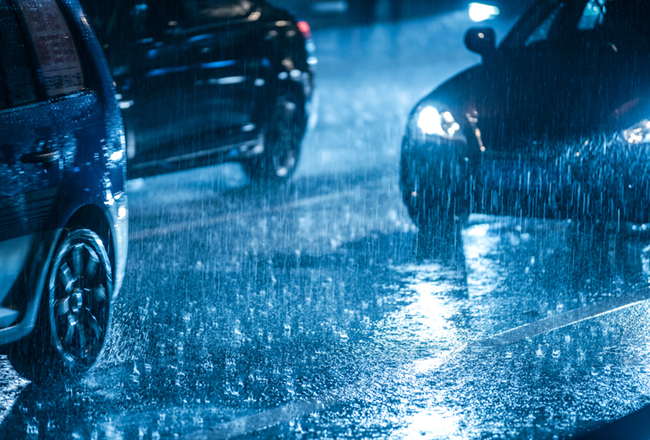 Sometimes it’s just a drizzle, but you might just get caught in a downpour, and it’s good to be prepared with tactics to navigate wet roads safely. Check your tires. Before you even get on the road this spring, take your vehicle in to a tire shop to have a check-up. You want good, deep treads on your tires to help channel the water out of your way. Double up on keeping your windshield clear. You’ll want to have good windshield wipers, of course, but it’s also a great idea to put a water repellant like Rain-X on your windshield. On one road trip my family was stuck in a multi-hour rainstorm. We were able to stop about an hour into the trip and buy some Rain-X, and the difference was just amazing – we barely needed to use the wipers because the rain just beaded up and rolled off almost instantaneously. Watch out for hydroplaning. This is always the thing I worry about most when driving in the rain. The feeling of losing control of your vehicle, even momentarily, is a scary one, and it could lead to a dangerous situation. If you start to hydroplane, let off the gas pedal slowly and be sure to steer straight. If your car begins to spin, turn your wheel slowly in the direction that the vehicle is spinning. This will feel counterintuitive, but it is important. Do not turn your wheel against the direction your car is spinning, and don’t turn your wheel sharply – this could easily turn into an overcorrection and lead you to flip your vehicle. Stay farther away from other vehicles than you normally would. You absolutely do not want to have to brake quickly on wet roads, because it can send you into a tailspin, and because you don’t have the traction to stop in as short of a distance as you typically would on dry roads. When you’re approaching a stop, try to take your foot off the accelerator earlier to make braking easier. This is a sponsored post partnered with Pearson Chrysler Jeep Dodge Ram. All opinions are honest and are my own. Summer is just 2 months away, and that means a lot of you are probably already thinking about your family vacations. In our family, we have 3 kids, so road trips are always the most economical option. And honestly, I kind of love them anyway. We try to fit in some fun stops along the way, we play games as a family, and it is an opportunity for lots of memories. That being said, it’s important to plan well to make your road trip successful. First of all, pack well. You need your essentials, like clothes and toiletries, of course. If you are making multiple stops along the way, rather than packing one suitcase per person, pack one suitcase per night. This way you only have to get one suitcase out of your vehicle – so much easier! It’s also good to be prepared just in case any problems arise on the trip. 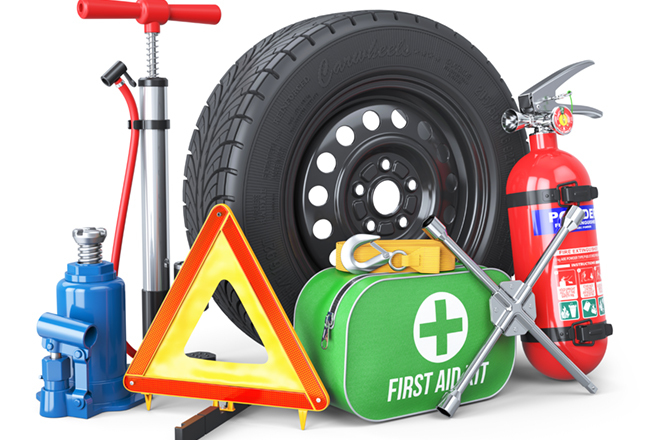 Pack a first-aid kit, fire extinguisher, jumper cables, foam tire sealant, blankets, and water so that you’re ready for almost anything. Another aspect of road trips to consider is entertainment. When you’re on a long trip, it can be easy for kids to get restless. There are easy ways to keep things from getting boring even while you’re driving down the road for hours. My very favorite tip for road trip entertainment is to take advantage of Redbox. Movies are about $1.50 to rent, so it’s a cheap option – and you can return discs to any location, so you can rent a movie in one city and return it in another – no need to take up valuable space in the car with a bunch of DVDs. 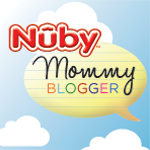 Let the kids take turns picking a movie – or you can even devise a way for them to earn the opportunity to choose. I also like to make “road trip binders” for my kids with blank comic book panels, puzzles, coloring sheets (for my daughter) and other activity pages. When there are puzzles involved I sometimes have inexpensive prizes available, which adds another layer of fun. I hope these tips help make your road trip stellar this summer! 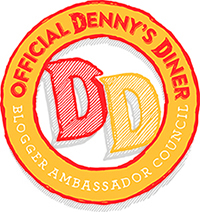 This is a sponsored post partnered with Puente Hills Chrysler Dodge Jeep. All opinions are honest and are my own. If you’re like us, springtime often means more driving on a day-to-day basis. We’ve got rehearsals and practices and all sorts of activities to drive our kids around to each week, and with all that driving the amount of money we’re spending on gas can really add up quickly. You can’t always help how much you’re driving, of course, but you can take steps to make your dollar stretch further. 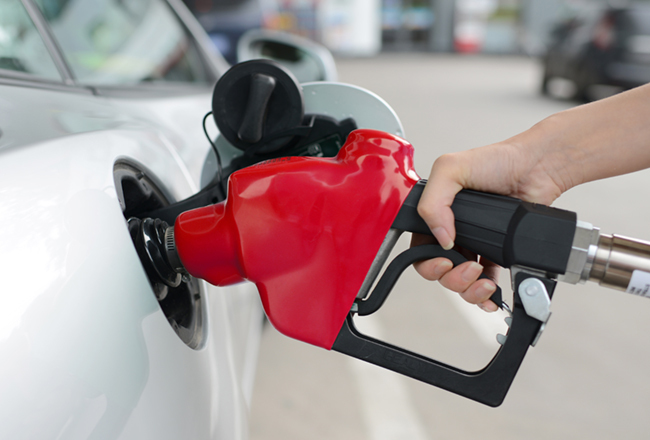 Try these easy tips to maximize your gas in the tank and minimize the amount of money you’re spending on gas each month. Avoid the “lead foot” driving style. When I was a teenager, I was the worst about this. I didn’t think one bit about how much gas I was wasting with this habit! Rapidly accelerating your car can guzzle gas quickly. Our current vehicle – and many others – now have a feature that shows you if you’re using your gas economically. In our vehicle, a green light that says “Eco” shows up on my dashboard. If I press on the gas pedal to speed up, I’ll notice that light turn off. Try to accelerate gradually, drive at a consistent speed (be sure and take advantage of cruise control) and not pound on the gas pedal at lights or on the freeway to pass someone, and your tank of gas will last longer. Idle cars make for lots of wasted gas. I’m guilty of this often, especially during the school year! When I’m waiting to pick up the kids from school I sit for 10-15 minutes at each campus with the car – and air conditioner – on. Idling can use a quarter to a half a gallon of fuel per hour, and if you’re using your air conditioner while you sit like I do it can use even more fuel. Turn your engine off when you’re parked, and roll down your windows. If it’s the fall and a little chilly, keep a jacket in the car rather than keeping your heater running. Take advantage of fuel savings programs. Our grocery store lets us accumulate points that translate into money off our gas costs – we can earn up to $1.00 off per gallon if we save up our points. There are other savings card programs through gas stations and credit cards, too. 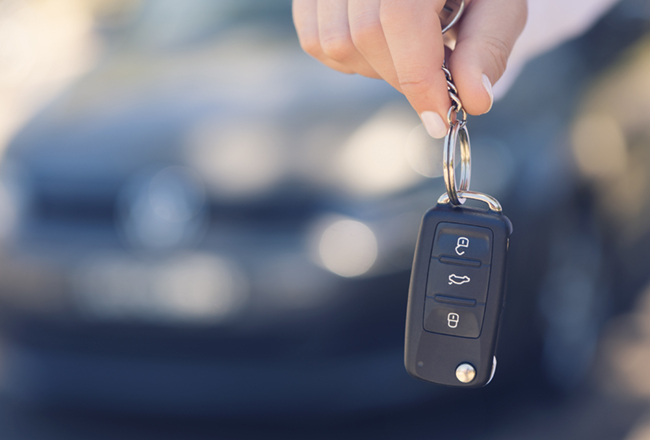 If you’re loyal to certain gas stations, points can really add up quickly if you always take your car to those stations – and they can save you a lot on each tank of gas. 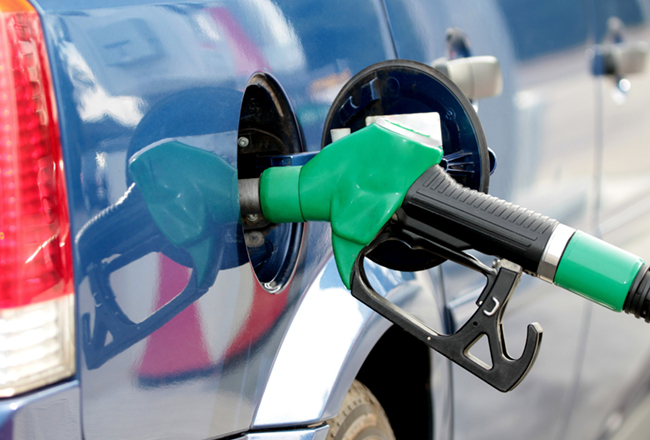 Search for the best prices before you fuel up. This used to mean driving around from gas station to gas station, which seems somewhat counterintuitive. Now, though? Apps abound to help you find the best price to fill up your tank. A few minutes of research can end up really saving you a good bit of money over time. 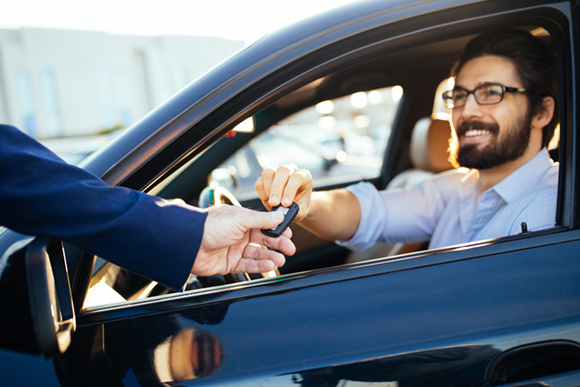 When you’re traveling, take the time to drive a little farther from the freeway and you’ll likely find better prices than right along the interstate. See how easy it is to save money on gas? A few small changes in your habits can really add up. This is a sponsored post partnered with Thompson Chrysler Dodge Jeep Ram Baltimore. All opinions are honest and are my own. 1. Buff your vehicle’s paint. A good car wash goes a long way, but use an oscillating buffer with some polish to really make your car gleam. Follow up by waxing your car and you’ll get a great shine to your car’s exterior that will definitely make it feel new! If you don’t have a buffer, you can buff by hand (added bonus: a workout!). 2. Use an air compressor to really get all the crumbs and dust out of your car. There are lots of nooks and crannies you just can’t reach with a vacuum. Our minivan has tracks in the floor for the second-row captain’s seats to slide back and forth, and they’re notorious for catching crumbs and dirt. An air compressor can really make a difference in the depth of cleaning you’re able to achieve. Borrow one, rent one, or invest in one – regardless of how you acquire one, you’ll be glad you did. An air compressor loosens dirt from the carpet and seats, making it easier for you to clean. 3. Remove all mats from your vehicle before vacuuming. Vacuum the interior well (after using the air compressor, of course) and take care of the mats while they’re outside of the car. While the mats are out, go ahead and wash them with a steam cleaner to get them looking great before you put them back in your vehicle. If your mats are looking kind of sad, this would be a good time to replace them with new mats. It’s a cost-efficient way to really spruce up the look of your car (and you don’t want any loose threads or tears to become a safety hazard for the driver). 4. Use glass cleaner inside and out. Y’all, the inside of our car windows are often dirtier than the outside, thanks to children who love to wipe their fingers along steamy glass to make drawings on the windows. You might not really think about cleaning the insides of your windows, but that’s where all the fingerprints are (or, another issue we have – nose prints from dogs that ride in the vehicle). Get your windows sparkling by using glass cleaner (a spray or wipes) on the interior and exterior of your windows. Be sure to follow up with a dry cloth to avoid streaking. 5. Wipe down all hard surfaces with a cleaner. You’ll remove any grime or dust settled on the car, and then you can finish off the job with something like Armor All to give a little added shine. Wipe your dashboard, of course, but also think about wiping off other hard surface areas you might not typically consider like around the doors where people put their hands, or on area where you clip your seatbelt in. Make sure to clean out all cup holders, too. 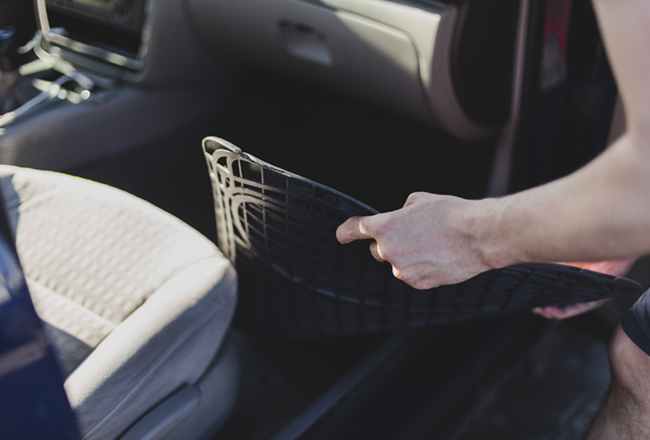 Our kids often spill things in the cupholders by their seats, but even if there aren’t any spills, cupholders tend to attract a lot of dust and crumbs. On the next nice Saturday, take a little time to detail your vehicle using these steps and you’ll feel like you’ve got a brand new car! This is a sponsored post partnered with Reedman-Toll Subaru of Downington. All opinions are honest and are my own. We love Subarus in our family. We’ve owned a Forester and loved it. And we own an Impreza that is 11 years old, and that we are saving to be our son’s first car once he’s old enough to drive. Both my mother & mother-in-law bought Foresters at our suggestion. We love the dependability and safety that Subarus provide, along with the top-notch quality of every element that goes into each vehicle. The one thing we’ve always hoped for is a larger vehicle from Subaru. 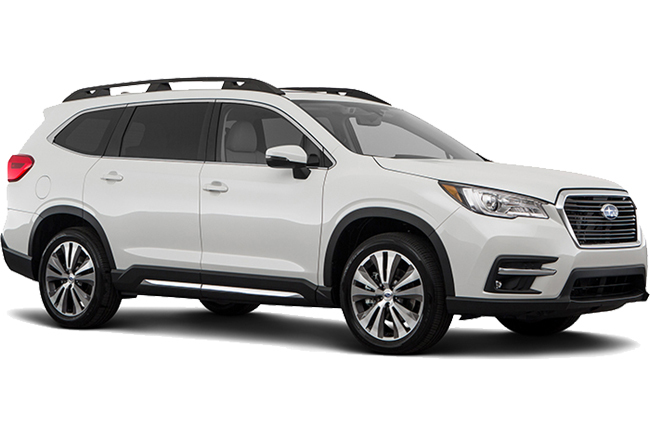 With three kids, the Impreza, Outback, and Forester would all fit our family, but we really want three rows and a little more space for hauling gear or going on road trips. It has flexible seating. We really wanted three rows, which the Ascent offers, but it also allows you the opportunity to fold seats down as needed so you can configure it for different situations. You can also pick whether to have captain’s chairs or a bench seat in the second row. I love the idea of the captain’s chairs for our family, because it makes it even easier to get back to the third row. It has Standard Symmetrical All-Wheel Drive. The stability that this provides makes for a safer drive, which we all want especially when our kids are in the car with us, right? It can get up to 27 MPG. I am amazed by this, because a lot of times I think we equate SUVs with lower gas mileage. When you’re a parent, you’re always looking for ways to save money, and gas efficiency is a big part of that. It has available WiFi connectivity and loads of USB ports. It’s just a fact – people want to be able to stay connected on their devices, even while on the road. 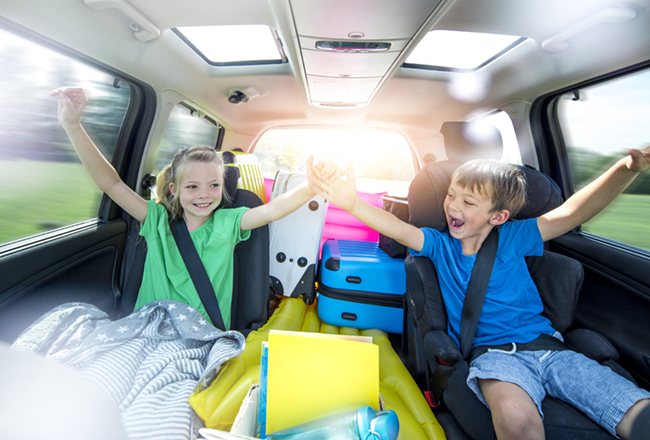 These features are awesome for day-to-day use, but can you imagine how much more pleasant they’ll make road trips with kids? We haven’t gotten an Ascent yet but it’s on our wish list – we can’t wait to get one for our family! This is a sponsored post partnered with Reedman Toll Chevrolet. All opinions are honest and are my own. With the popularity of Marie Kondo and “tidying up” people all over the country are paring down – and cleaning up – their homes. I’ve actually been working on our own home, going room by room to purge and freshen up each space. It’s easy to just focus on our homes for a spring cleaning, but the truth is our cars should be a part of that process too. After all, we’re in our vehicles almost every single day! With three kids, our car can get messy fast but I like to keep it presentable in case someone else rides with us. Plus, doesn’t it just feel better when your car is clean? 1. Take your car to get washed. 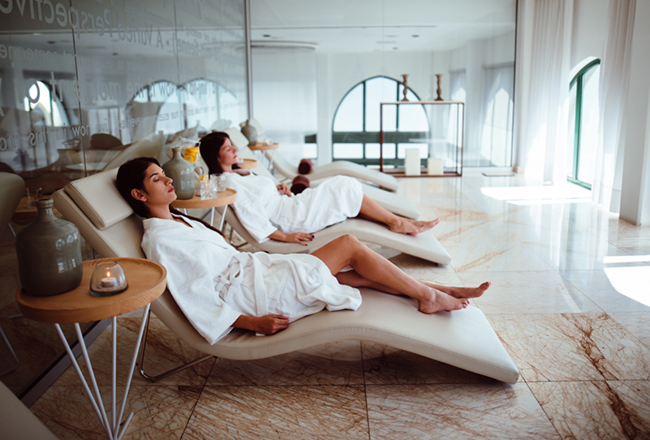 You like to go to the spa, right? Think of this as your car’s visit to the spa – it’ll get sparkling clean on the outside, and most places either vacuum for you or provide vacuums for you to do it yourself. When we have company coming, I always take our car to be washed first. If you’re adverse to spending money on a car wash, you can schedule a weekend day to do it yourself at home – or better yet, make the kids do it! It can be a fun task that they might actually enjoy. 2. Get into the habit of throwing trash away each time you get gas. You’re standing around waiting for the gas to pump anyway – why not be productive? 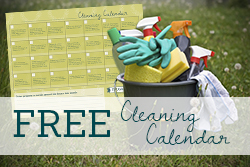 This will help keep trash from piling up and seeming like a daunting task to tackle. And when we’re on road trips, we make the kids throw trash away at each stop. When you stay on top of things, it’s a lot easier to clean than if you let it all pile up. 3. Use baskets and tubs to organize. Go to the dollar store and get some small baskets, or shoebox-sized tubs with lids. Marie Kondo is a big fan of categorizing items in drawers and closets, and this can be just as effective in vehicles. Some ideas for things to keep on hand: first aid kit, changes of clothes, nonperishable snacks, and simple cleaning products. 4. 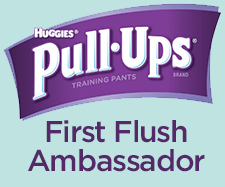 Even if your kids are grown, keep wipes on hand. These are great for cleaning spills, wiping down the hard surfaces in the car, and cleaning up the kids, too. Quick wipe-ups help prevent stains from setting in and can curtail a sticky mess before it spreads. If you have wipes handy, it’s easy to take a second here and there to clean up messes you see… if not, it’s easy to forget about them and never really get around to cleaning up. 5. Change your cabin air filter. This doesn’t provide a visible effect, but it’s just as important as the other items on this list for keeping your car in tip-top shape for spring. With all the pollen that can be in the air during the spring, you want to be sure you and your family aren’t breathing all that in while you’re driving your car down the road.